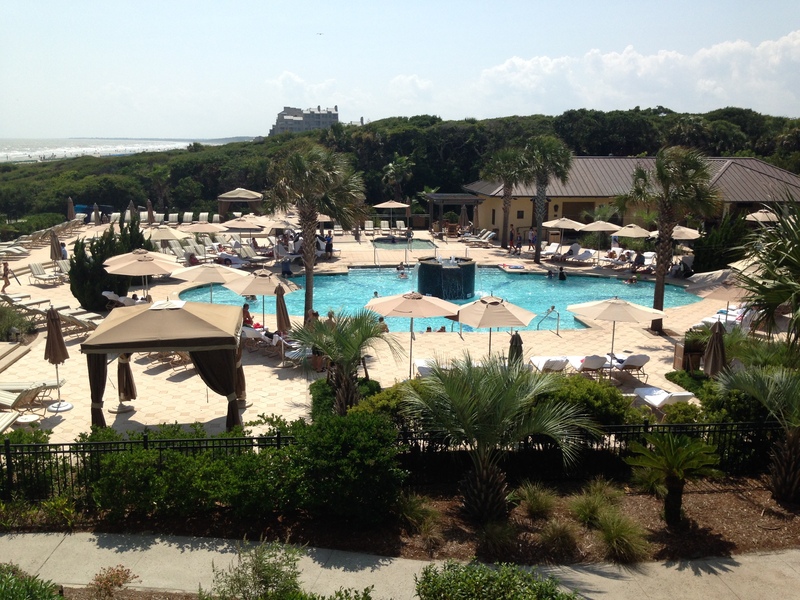 If someone were to rename the Sanctuary Hotel at Kiawah Island, I would suggest “Heaven on Earth”. From the moment we arrived on the property, there was a feeling about the Sanctuary Hotel that just felt like home. I met quite a few travellers during our stay who described it in the same way. There are a lot of reason to visit this hotel and here are mine. A sanctuary is defined as a place of refuge. This hotel could not have been more aptly named. When we entered our room which faced the pool and the ocean, it was literally breathtaking. Even the kids who usually would just noticed the pool turned to me in awe of the view. The room was sizeable, clean and well decorated. It also somehow felt more like home than many hotels we have stayed in. Not due to the decor or incredibly large bathtub but due to the feeling of safety and serenity. I spent hours relaxing on the patio at night and in the morning while the kids soundly slept in oversized comfortable beds. As a solo traveling mom, this next part is painful to write. There is not only a large, refreshing, salt water pool at the hotel. There is a an infinity edge adult only pool. As I am with the kids, I only checked it out quickly but can tell you there is a staff member there ensuring everyone who enters the section is above 18. Pure bliss. Back to the other pools. The family pool is exactly that. Full of families that are having a wonderful time. The kids and I hit the Dive-In movie at the pool last night and they made more friends in that pool than I may have in life. 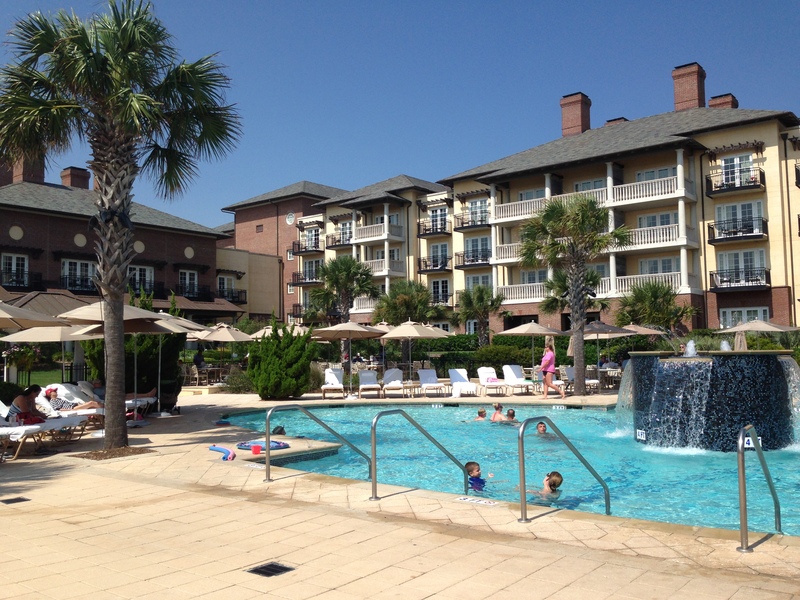 The families we met on Kiawah Island were kind and welcoming and the kids were invited to join in many pool games with kids of all ages. There is also an indoor pool used mostly by guests looking to do lap swimming and take part in the hydro fitness classes offered by the Sanctuary Hotel. The Sanctuary Hotel itself has three main dining options: (1) Jasmine Porch featuring food from the low country like fresh seafood and local organic produce; (2) The Ocean Room, a stunning steakhouse; and (3) The Loggerhead Grill which is best defined as refined pool and ocean side dining. 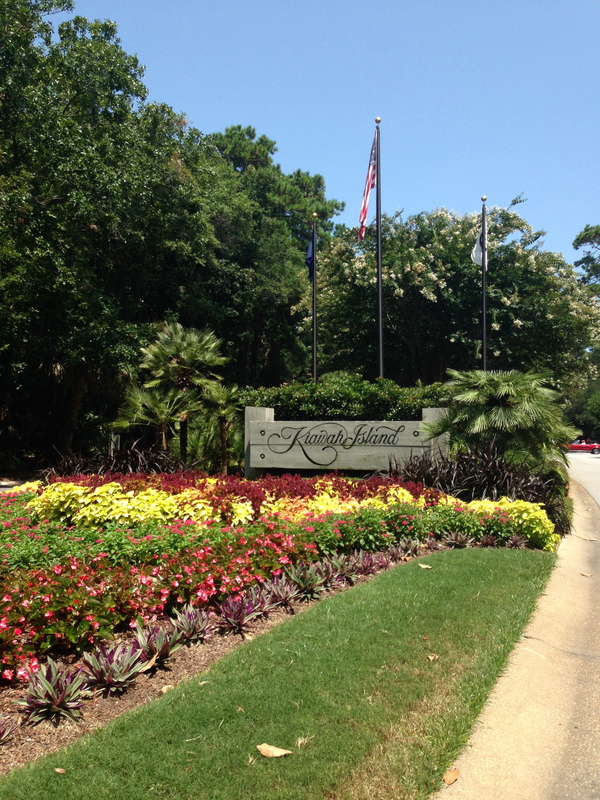 In addition, there is a shuttle that will take you to any restaurant within the Kiawah Island Golf Resort property. Last night, we dined next to the golf course at Tomasso. Located behind the 18th green, I enjoyed some of the finest Italian food I have had while the kids played hide and go seek with another child. Will described the pizza as the best he had ever had while Charlie, who is a much more adventurous eater, and I shared dish after dish of delicious food. Once the course was closed we took a nature walk down to the pond to see if we could spot the famous Kiawah Island alligators but seems they were out for dinner too. 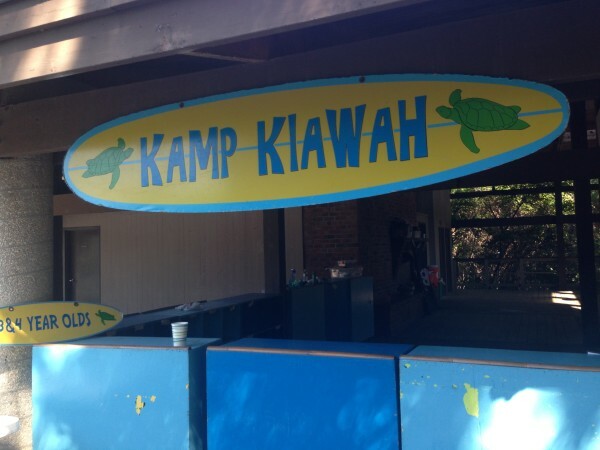 The resort also offers a kids camp year round called Kamp Kiawah. With championship golf courses and the #2 tennis center in the world, Kamp Kiawah allows parents to explore their passions while their kids make friends, head to the beach and explore the huge splash pad and water park at Night Heron Pool. Watching these camps, I was really impressed with the campers and easily would enrol my kids in a week long camp here. 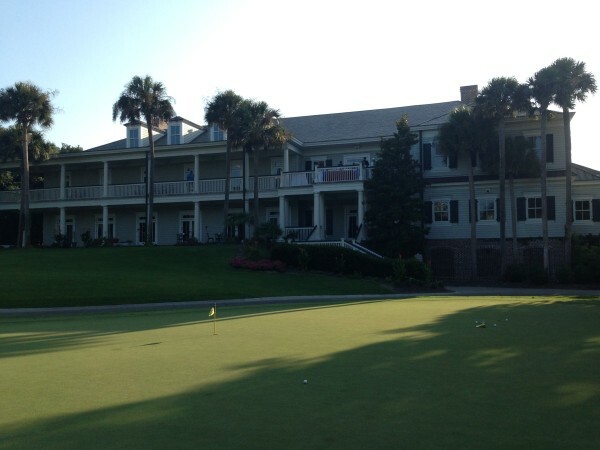 I can’t finish this review without telling you about the Tommy Cuthbert Golf Learning Center and the 90 holes of Championship Golf located at Kiawah Island Golf Resort. As a golfer, I watched player after player coming off the course and listened to them by the pool recounting how challenging and fun the courses were. The most talked about course is definitely the oceanside Turtle Point course which was designed by Jack Nicklaus to challenge the mind as much as the muscle. As a parent and a mediocre golfer, I wished we could have stayed longer to experience the Tommy Cuthbert Golf Learning Center. This learning center not only features 3 full time instructors with PGA and LPGA certification but offers programs for everyone in the family. I have been waiting to introduce my two to golf as I want them to first learn the proper technique from someone who actually knows what that is. 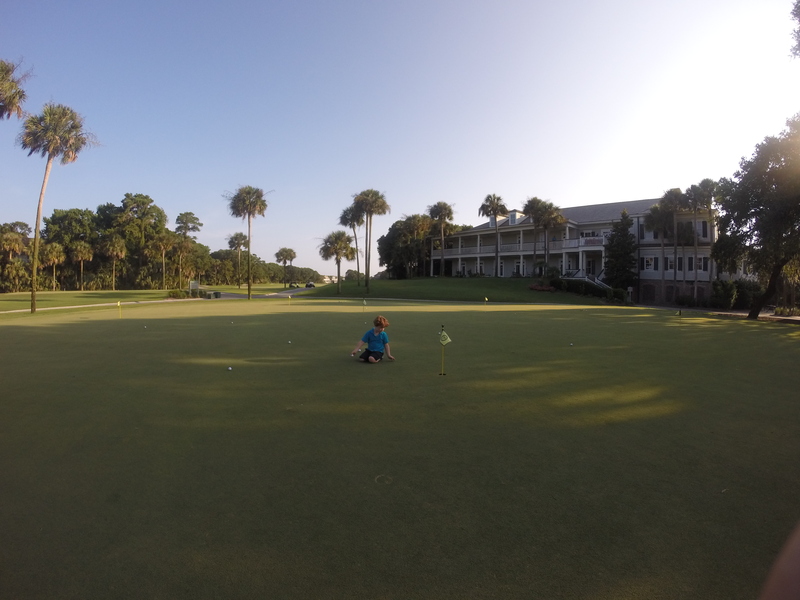 There is no doubt in my mind that they would easily get the proper instruction I have been looking for here at Kiawah Golf Resort. As we continue on with our road trip, the time we spent here at The Sanctuary Hotel will be cherished. We were able to unwind and relax in pure luxury and left refreshed and excited for the rest of the journey ahead. Having spent time on similar islands like Hilton Head, I can’t stress enough, how impressed we truly were by Kiawah Island. Located 45 minutes from the Charleston airport, Kiawah Island and the Sanctuary Hotel is by far the best escape we have encountered in our years of traveling to South Carolina and Florida. Looks like you and the kids had a wonderful stay, Sarah! We’re visiting for 2 nights at the end of the summer and are so excited to check out the resort’s fantastic junior naturalist programs. Just perusing the website it’s obvious that a family could easily enjoy themselves at Kiawah for a week or two! 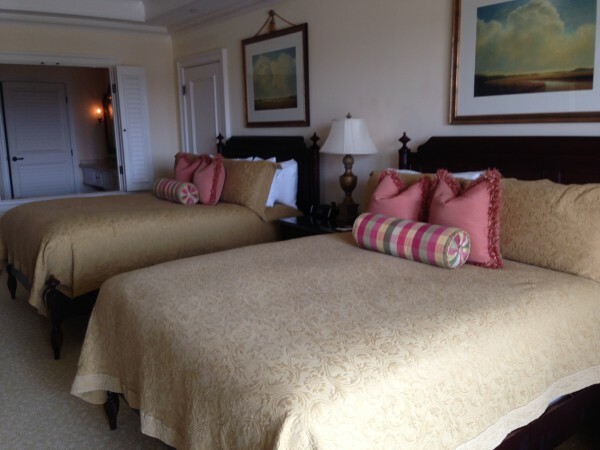 What a great review of a wonderful resort! 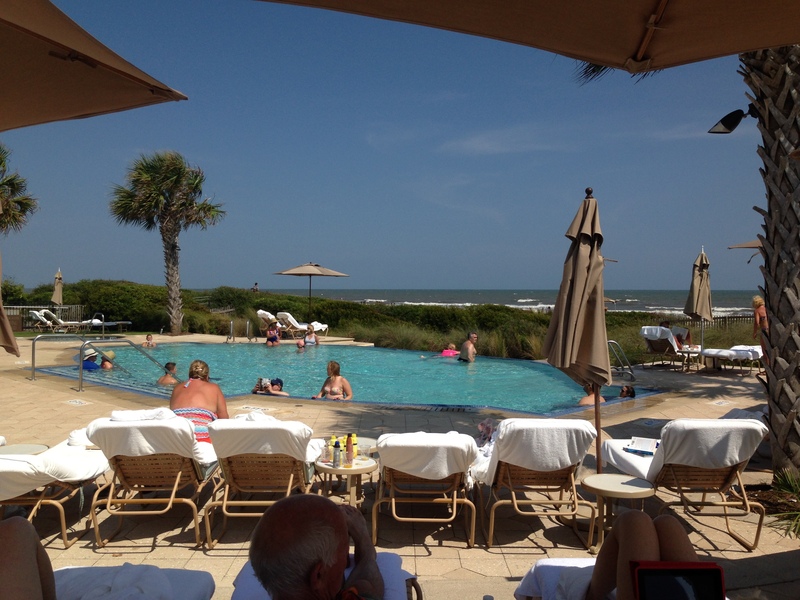 I have the great blessing of living in Charleston SC on Daniel Island yet this us still one of my favorite get aways. I can travel hours in a plane and find I should have just gone to the Santuary! 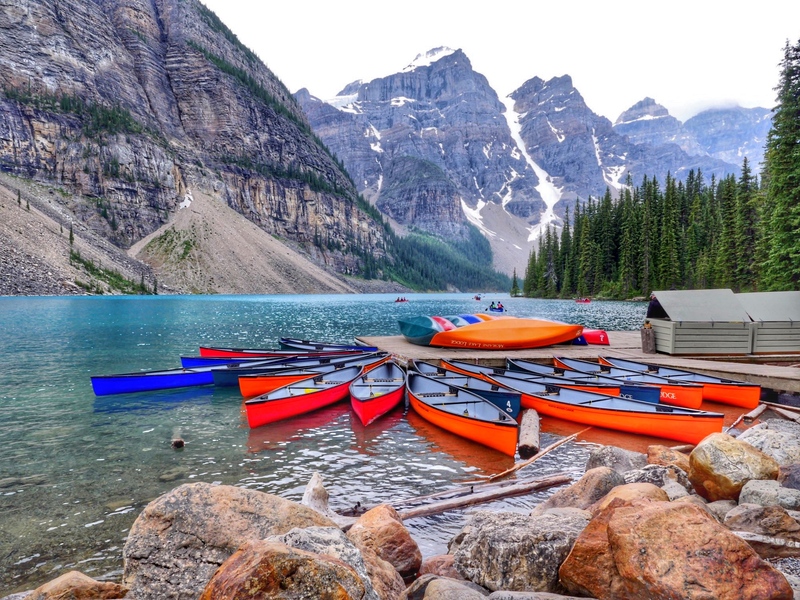 I recommend all your readers who can travel here to do so- and stay as long as their budgets permit. You didn’t even get to try the Spa…and for the record I have no affiliation and received nothing from the Santuary( unfortunately!). Love the end of this. I truly was blown away. I have been to some luxury places and this was tops. Hope to return one day for a full family vacation and hit the links and the tennis courts.